BRYAN EATON/Staff photo. 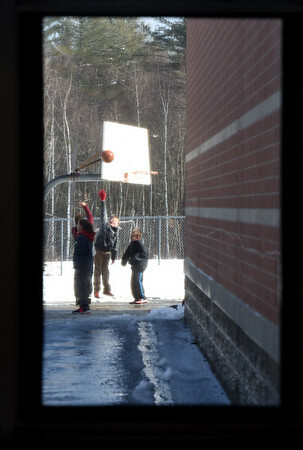 After being dismissed early because of snow and slush on Wednesday, youngsters were back out at recess, some playing basketball, at Salisbury Elementary School on Thursday morning. Inclement weather returns for the weekend, though it's forecast to be mostly rain.